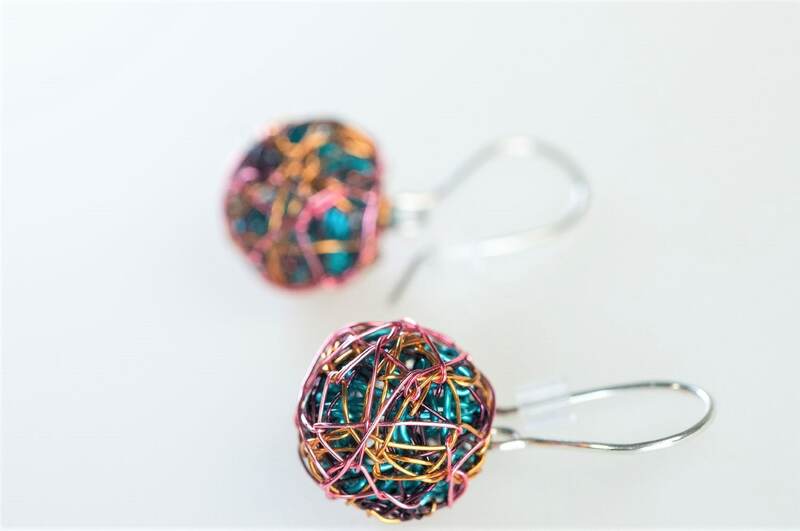 Short dangle earrings, turquoise orange, drop ball earrings handmade ​​of colored copper wire and silver. 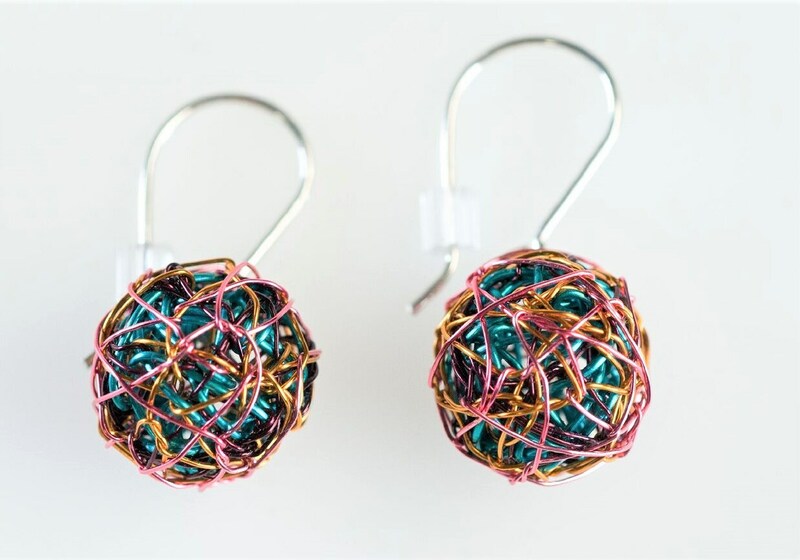 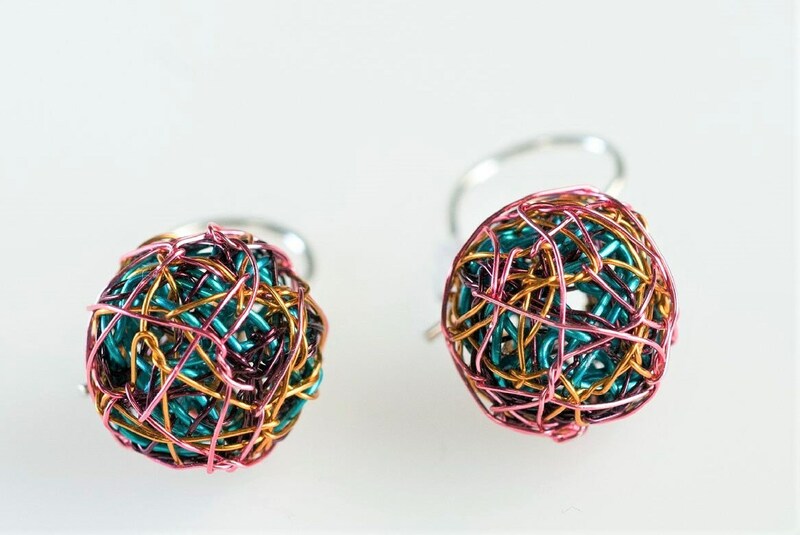 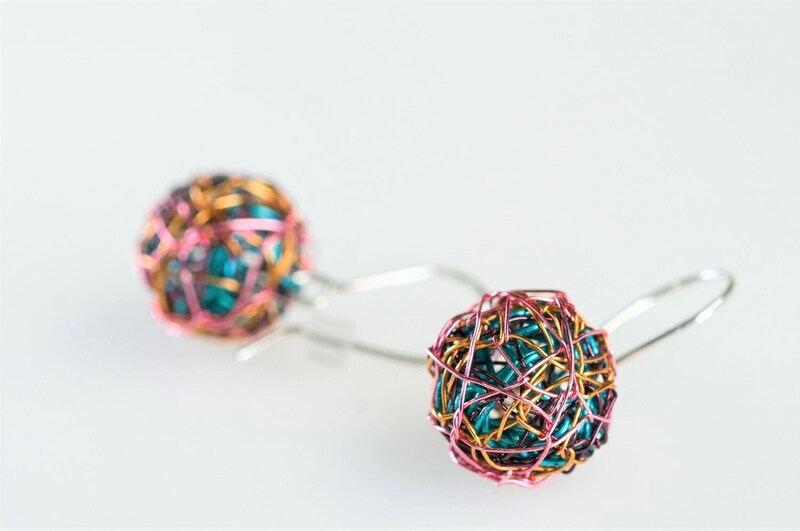 The diameter of each wire minimalist earrings, geometric jewelry is 1.3cm (0.51in). 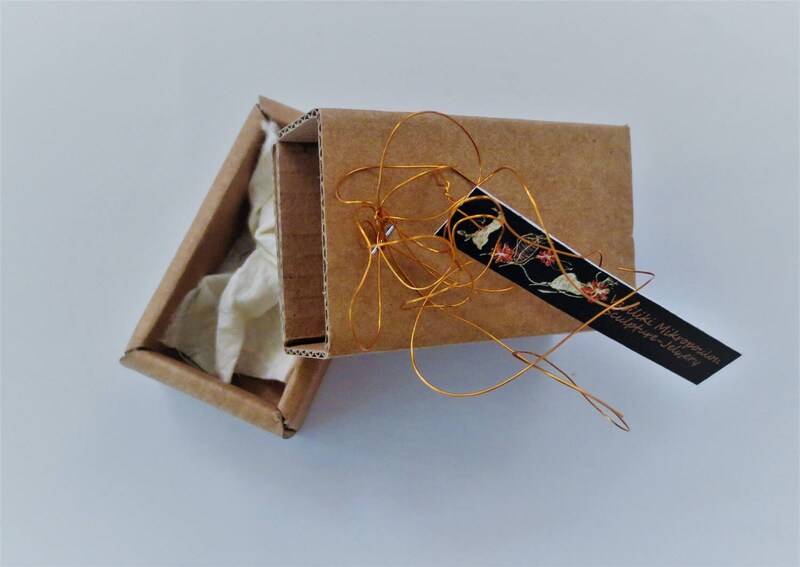 Clips from which standing the birthday gift for women, is silver. 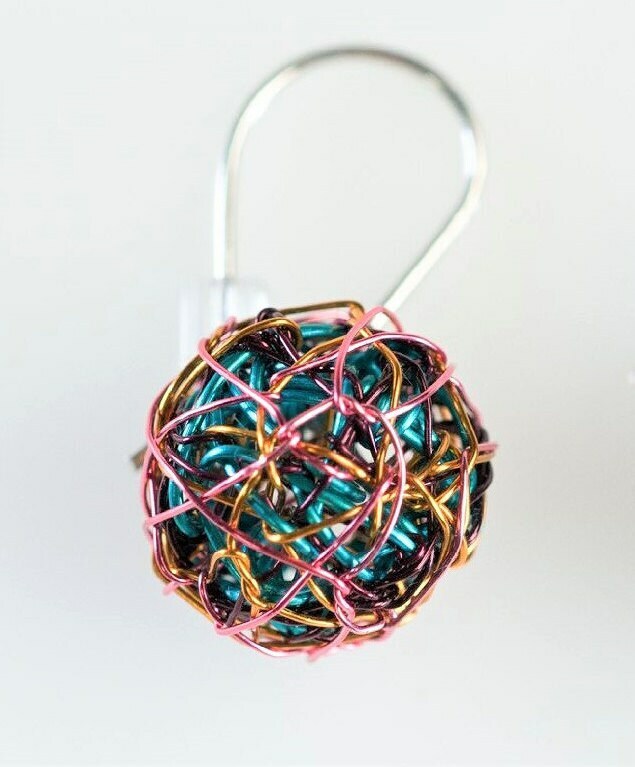 Color and uniqueness are attractive.